Grocery shopping isn’t really the most exciting task in the world, especially after a long days work, the last thing you want to do is walk around a cold building filled with people and boxed food. 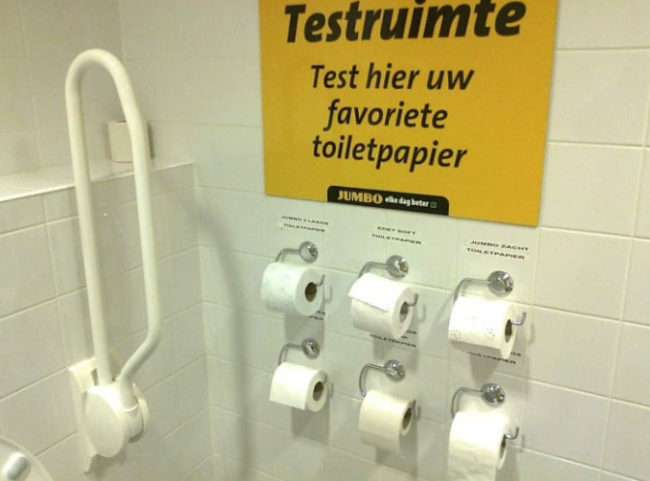 However, these grocery stores have come up with innovative ideas to make the mundane task just that little bit easier so that you won’t want to lie down and cry. It’s the absolute worst when you have nothing for dinner, have guests coming over and it’s too late to go to the store. 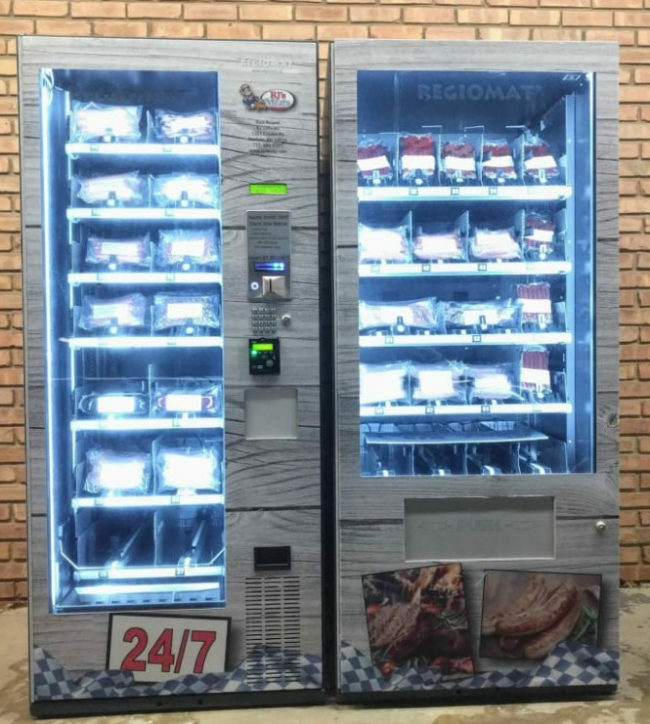 Thankfully, this grocery store is a lifesaver and has refrigerated meat vending machines in the entrance so you can pop in once the store closes and grab what you need! It’s happened to the best of us, we pop into the store to pick up a “couple” of things and before we know it, we are carrying the ENTIRE grocery store in our arms and we just know we will drop something that will make a mess. 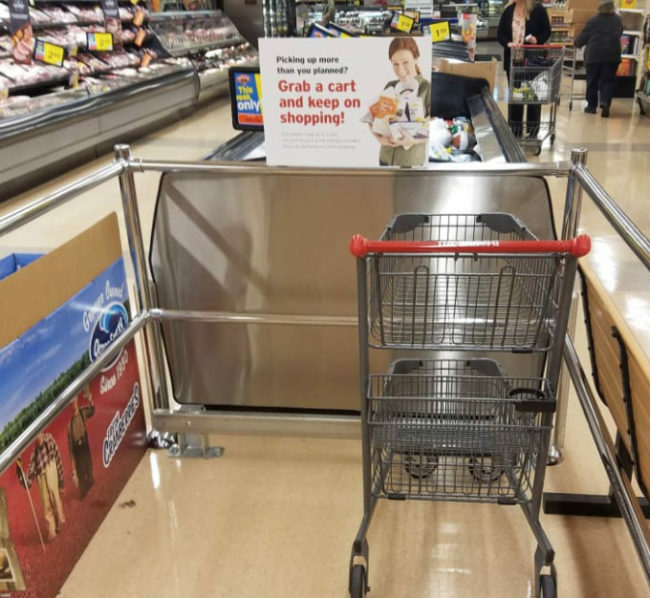 This grocery store recognizes this problem and places these carts in the middle of the store for those of us who should probably plan better. 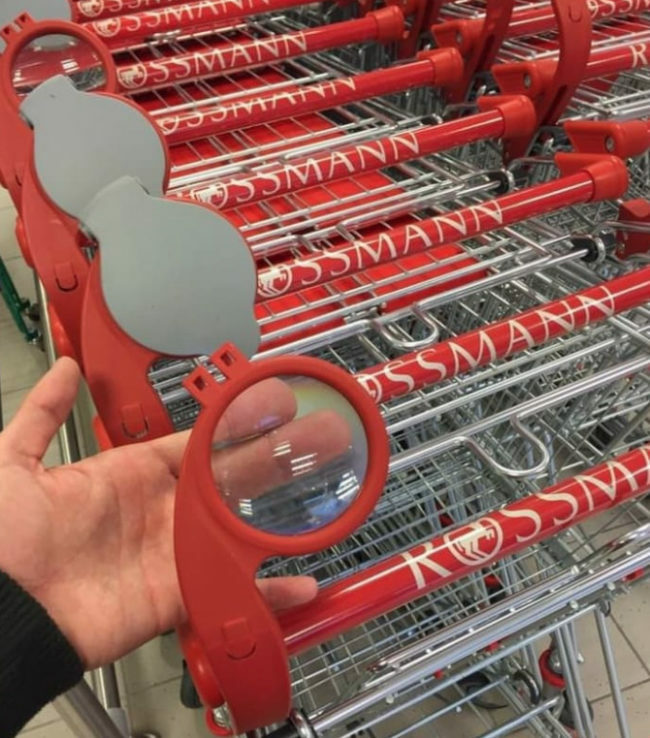 This grocery store is genius, every cart has a magnifying glass! Those food labels are so hard to read and its important to know exactly what we are putting into our bodies. This is a lifesaver. 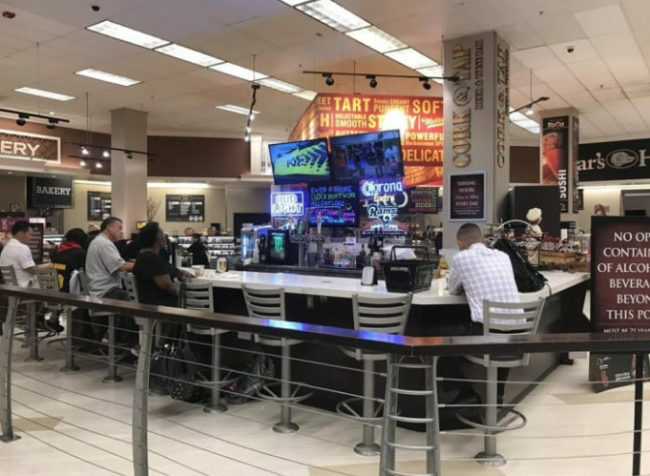 This grocery store has a bar in the middle so you can wait for whoever is doing the shopping. It’s great for the person waiting at the bar but if I was the person shopping, I would be MAD. You know when you are unpacking the groceries and you totally forget about that ice cream you bought and now it’s all melted. 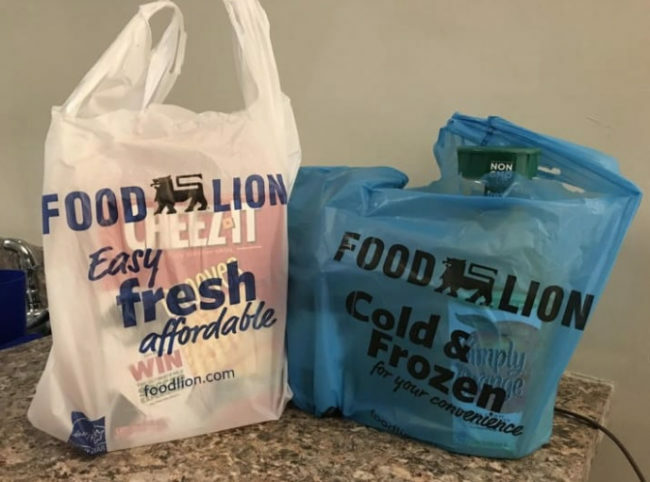 Well, this grocery store came up with the genius idea for packing frozen food in blue bags so you know what to unpack first! 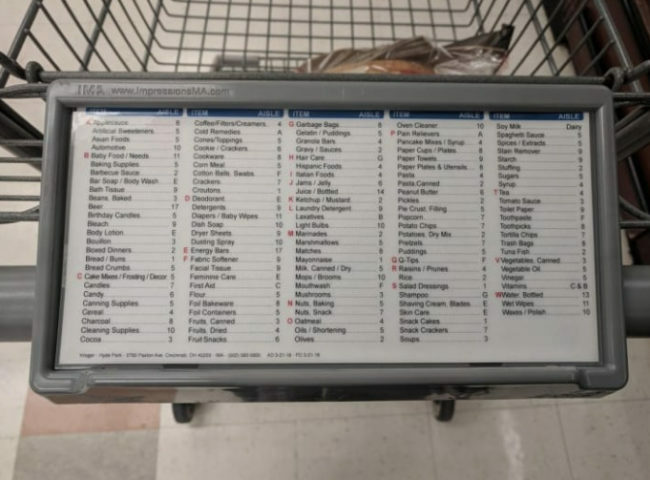 This grocery store has put aisle directories on every cart so, if you’re in a rush, you can find exactly what you need and quickly! Efficient grocery shopping at its finest. 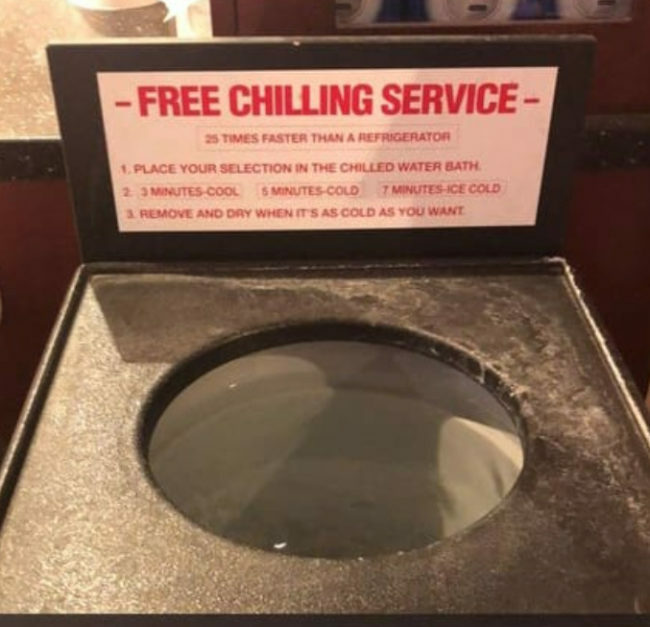 This awesome grocery store has a chilling machine so that you can chill that bottle of wine you just bought in five minutes! Dreams really do come true. 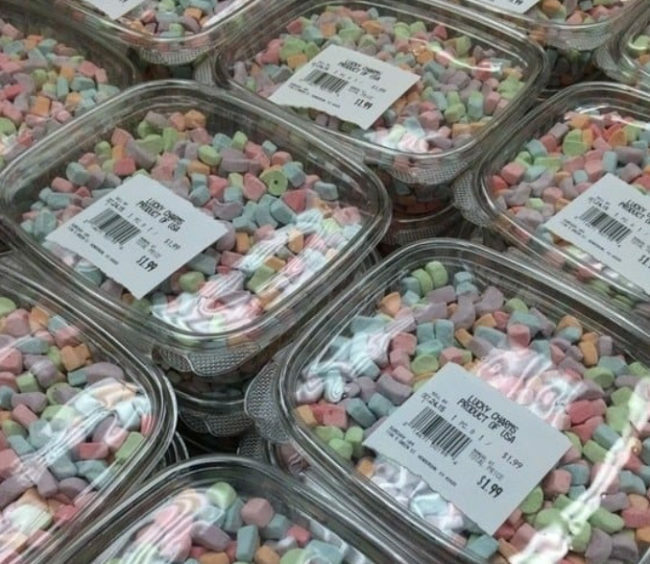 Everyone loves Lucky Charms just for the delicious marshmallows. Now you can enjoy them on their own! We all owe this store a thank you for existing. You know what makes people happy? Bacon! This store has nailed it. It’s the perfect way to keep bored and grumpy shoppers happy as they make their way through the store. 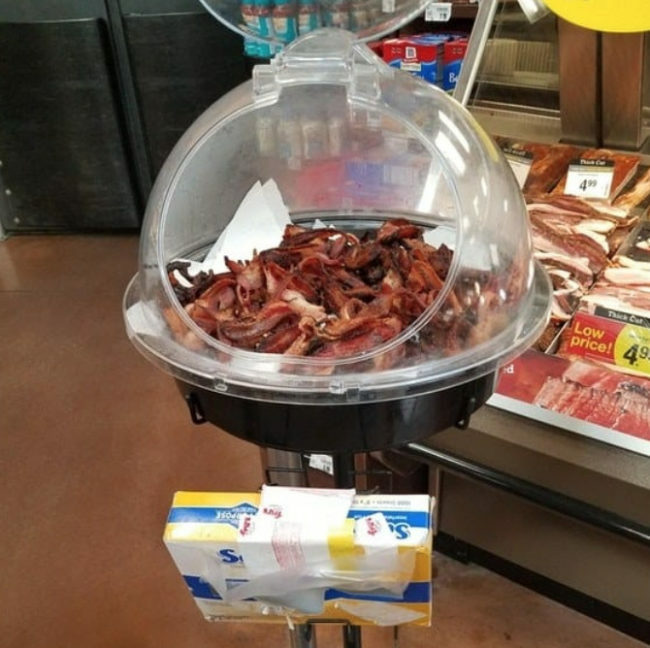 This should be a requirement at every grocery store. 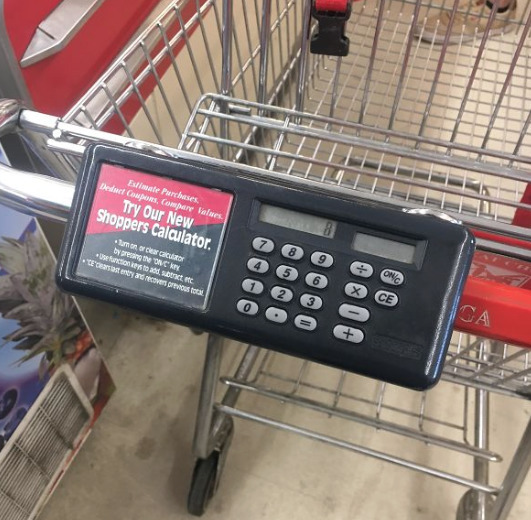 This forward-thinking grocery store has a calculator attached to every cart so that you can make sure you aren’t overspending. 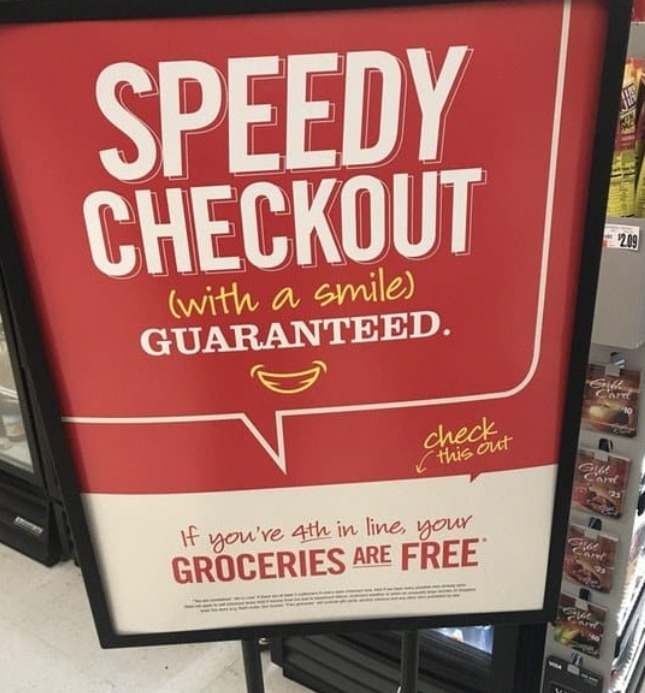 This grocery store is so confident in their speedy check out that if the line is long enough for you to be 4th, then they will give you your groceries for free! This is the future. Kids ALWAYS have tantrums at checkouts with candy because their parent usually says no. 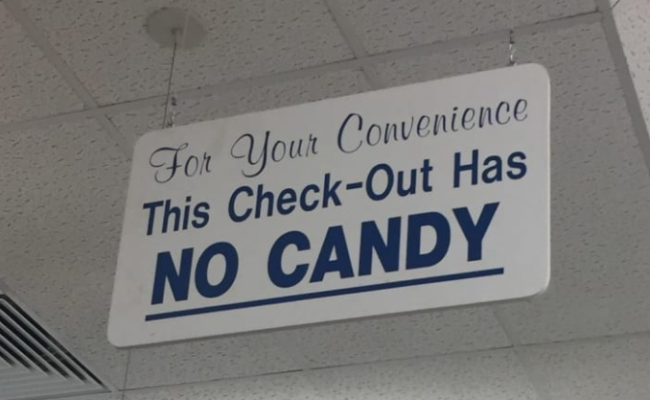 However, this isn’t just for kids, I would love this checkout as I ALWAYS pick up candy unnecessarily. It’s the worst when you grab a cart at the grocery store and it basically has a mind of its own, causing you to crash into multiple people. 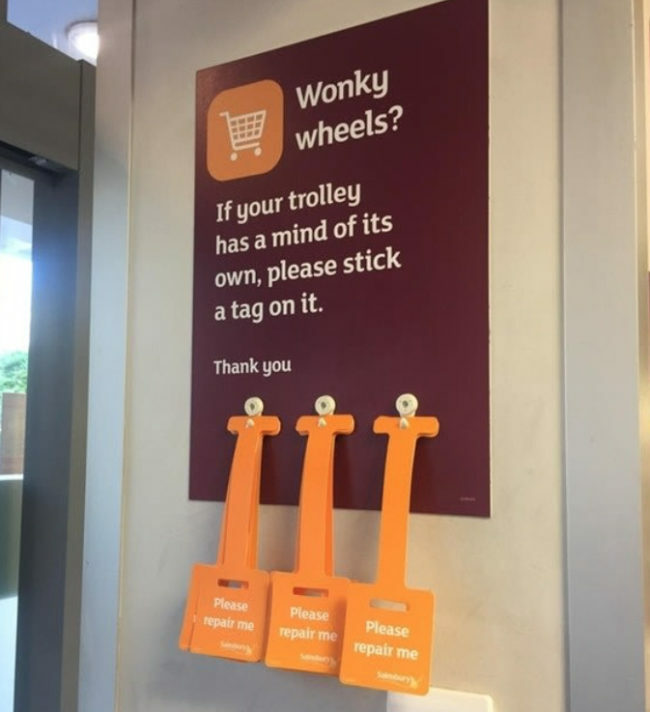 This supermarket has solved the problem by offering tags so someone can actually repair it! 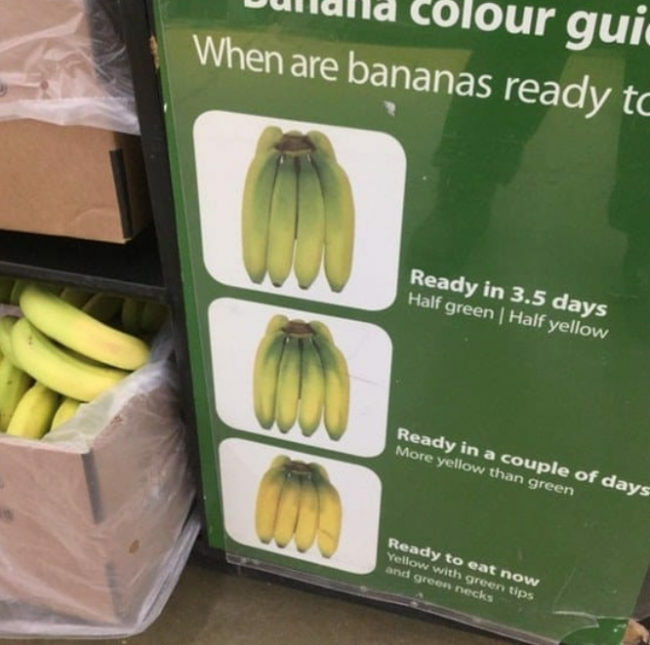 This grocery store offers a banana guide, telling you when they are ready to eat. I never knew this so its changed my approach to banana-buying forever! I had no idea this even existed! 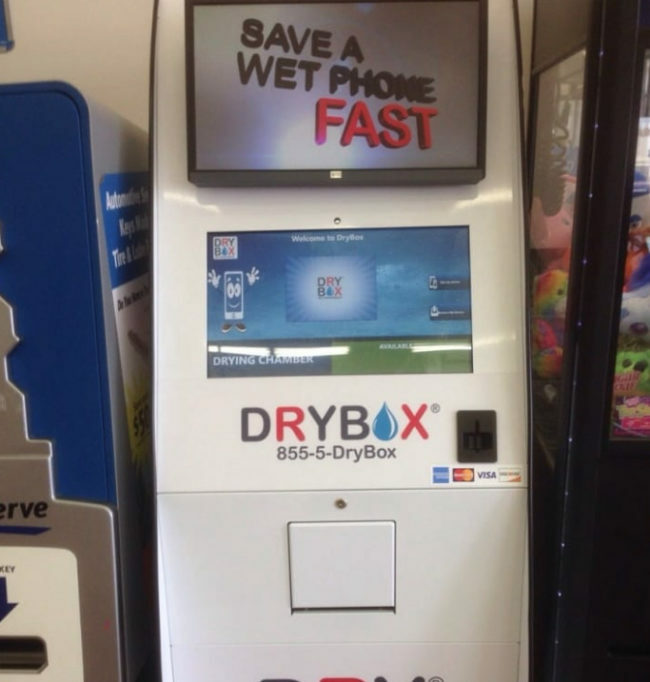 If you get your phone wet, this store has a machine to dry it, this really is the future and it would save a whole lot of stress! To stop people from eavesdropping on other patients and maintain privacy, this grocery store provides a fun queue activity to distract you while you wait. 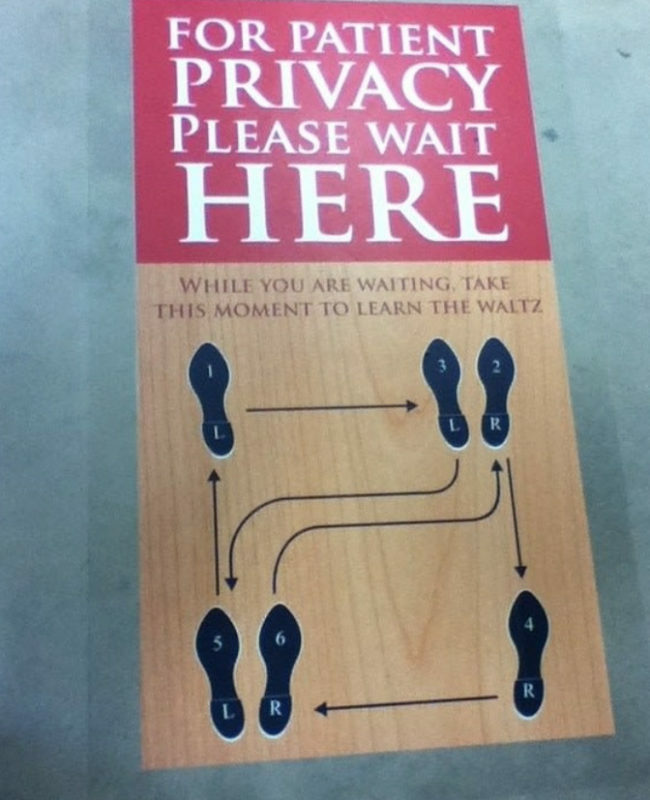 Honestly, I would love to see people just standing in a queue, doing the waltz on their own! We love to take our BFF dogs with us everywhere, unfortunately, it’s pretty unhygienic to drag them around a grocery store with you. 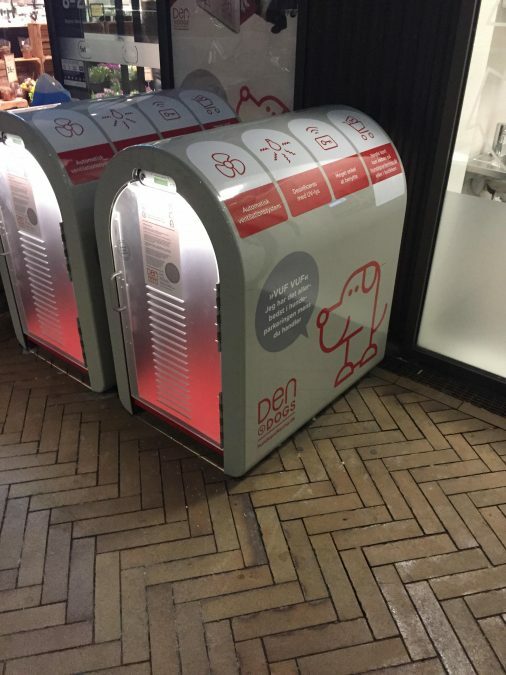 Instead of leaving them outside, exposed to the elements and potentially evil people who might steal them, they provide well lit, ventilated shelters to stay in. This IS the future folks! I think that this might possibly be the best idea, EVER. 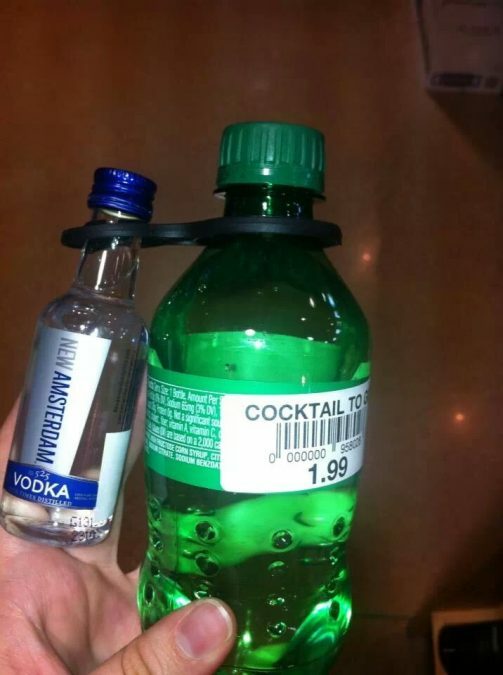 This grocery store offers bundled drinks to pour into a glass and make your favourite cocktail instantly. This is such a cool idea for BBQs and picnics. 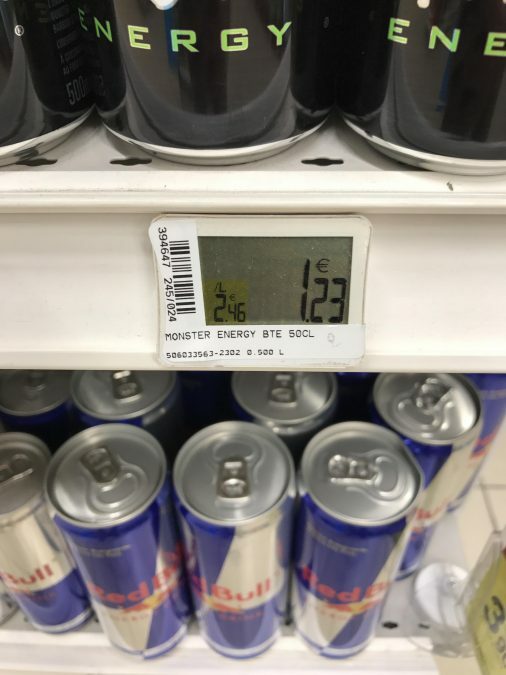 This is definitely the way forward, it’s much more environmentally friendly and super easy to quickly change the price of things without staff having to go around and manually do it themselves. 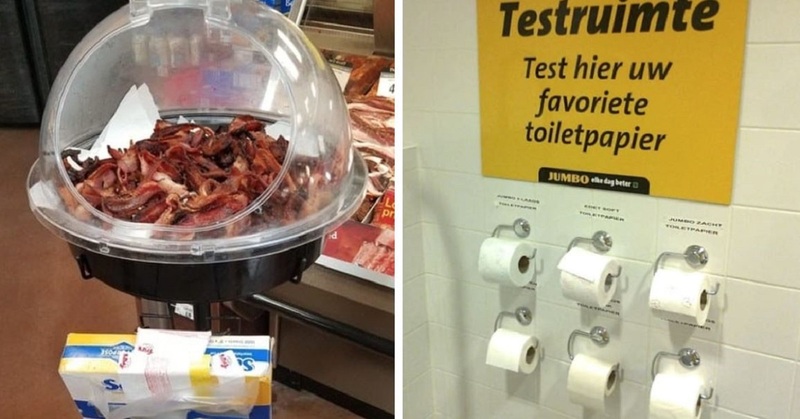 I have no idea why all grocery stores haven’t implemented these ideas, they are genius! This is the future of grocery shopping folks and it sure is bright.